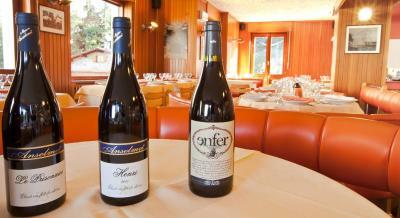 Lock in a great price for Affittacamere Scalvino – rated 8.9 by recent guests! Everything was perfect! Great Food, lovely staff and amazing location! Outstanding place for holidays! 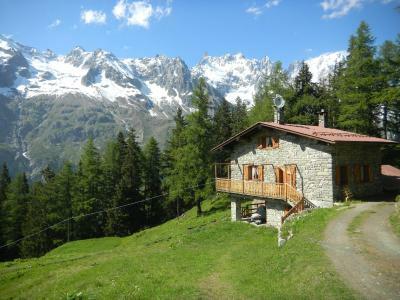 Comfortable room for a reasonable price; Beautiful view over the mountains; Very good breakfast. 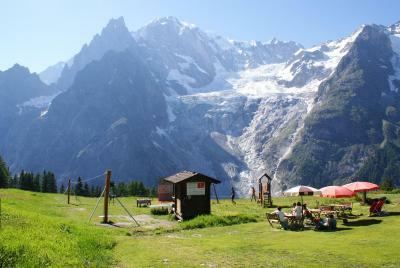 We were a group of international friends, who had just finished the trekking the tour of Mont Blanc, and this final accommodation was the cherry on top of the cake, with an astonishing view over the Glacier of Mont Blanc. The family run restaurant is also great with delicious local traditional dishes, and the staff is local, authentic, friendly and fluent in English. 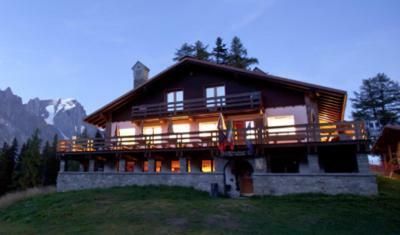 We strongly recommend this accommodation to all hikers (and others). We were somehow misled by google maps (our mistake! ): when the ski lifts are not running it is further than one might think. The distance to Courmayer (and steepness) to reach the accommodation must be taken into account. 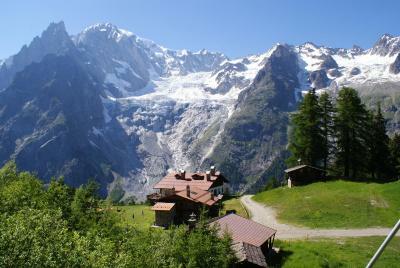 However, it could be a good stop over also for hikers doing the tour of Mont Blanc. Las vistas, espectaculares. El trato muy bueno y el desayuno muy completo.la habitación no era muy grande, pero comoda. Komfortables Zimmer auf einer Location in dieser Höhe und Lage. Wir haben uns sehr wohl gefühlt im Zimmer. 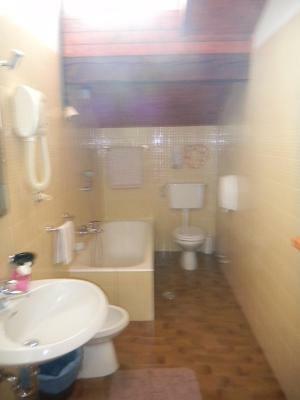 Bad und Dusche auf dem Gang waren ebenfalls komfortabel und immer sehr sauber! :-) - Frühstück im ital. Stil. 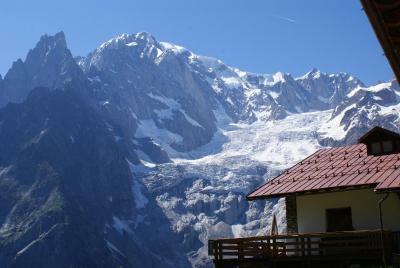 L'emplacement : même si l'accès au chalet reste difficile (petit col à monter depuis Courmayeur de qqles kms assez pentu sur une petite route dégradée), la vue depuis le site est magnifique (vue sur le Mont Blanc et les glaciers environnants) L'accueil : la maîtresse de maison parle très bien le français et est très serviable et à l'écoute de ses clients. Una posizione spettacolare, un'accoglienza ottima e un servizio altrettanto. Bellissima struttura, da ritornarci. Il prezzo assolutamente in linea con l'offerta e non fuori luogo. Una vista pazzesca con un'ospitalità genuina di altri tempi. Camera confortevole. 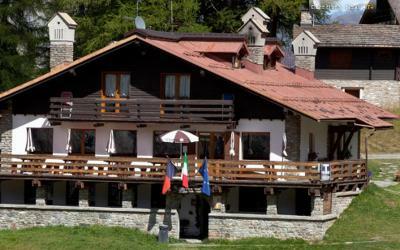 Ristorante generoso dove si può gustare i piatti di montagna più tipici. 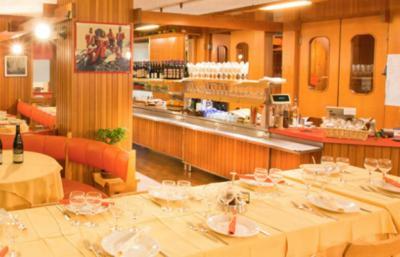 With panoramic views of Mont Blanc, the Scalvino offers a restaurant, free Wi-Fi in public areas and winter ski-to-door access, 5 mi outside Courmayeur. 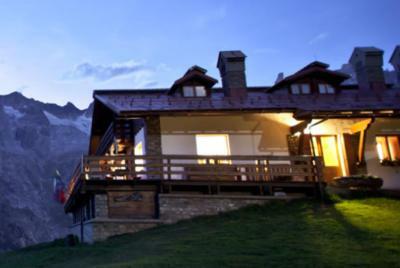 All Alpine-style rooms and apartments have mountain views. 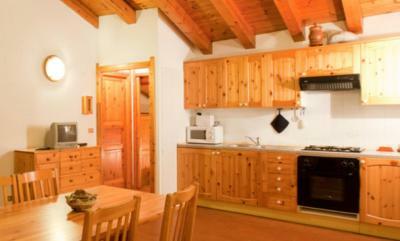 Accommodations at Affittacamere Scalvino has wooden furnishings and tiled or parquet floors. 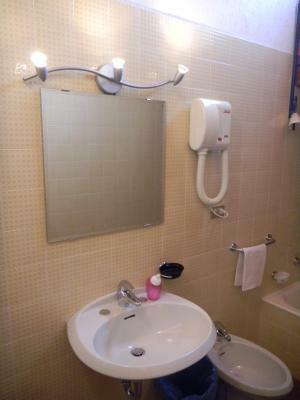 Rooms include a balcony, while apartments have a fully equipped kitchenette. 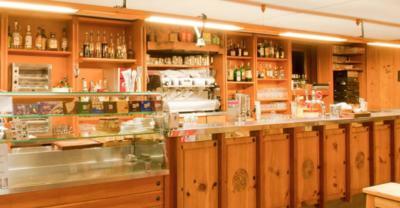 Fresh fruit, croissants and cereals feature at breakfast, along with eggs and cold meats. The restaurant serves a mix of local specialties and international dishes, plus a wine list with 20 locally produced wines. 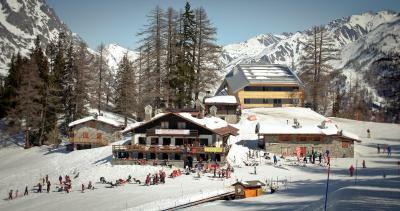 In the winter, the Scalvino can only be reached by the Funivia Val Veny funicular train. 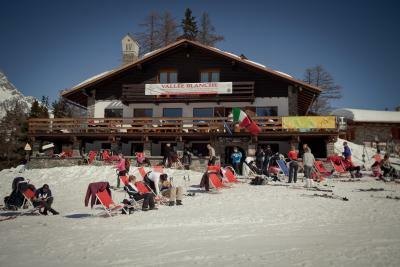 The property provides ski storage and equipment can be hired on site. 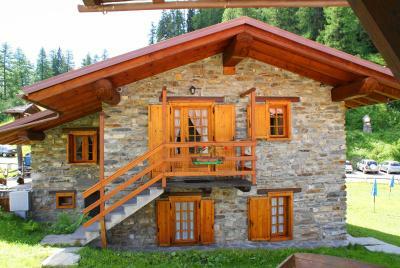 This property is also rated for the best value in Courmayeur! Guests are getting more for their money when compared to other properties in this city. 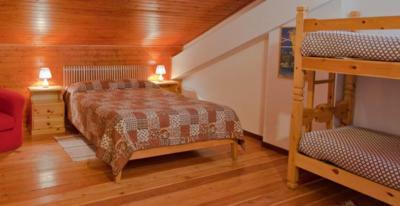 When would you like to stay at Affittacamere Scalvino? 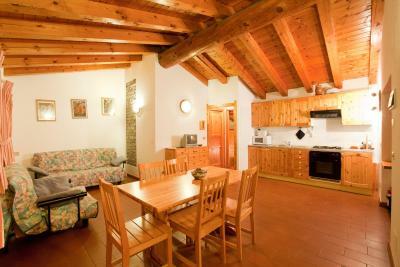 Featuring a balcony, this Alpine-style room has wooden furnishings and parquet floors. With a TV, it offers views of Mont Blanc. The bathroom is shared. 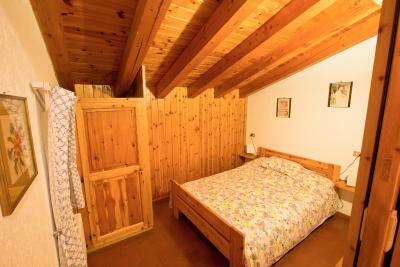 This Alpine-style room has wooden furnishings and parquet floors. 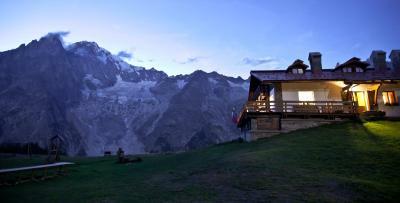 With a TV, it offers views of Mont Blanc, and some rooms include a balcony. The bathroom is shared. House Rules Affittacamere Scalvino takes special requests – add in the next step! ATM card Affittacamere Scalvino accepts these cards and reserves the right to temporarily hold an amount prior to arrival. Affittacamere Scalvino accepts these cards and reserves the right to temporarily hold an amount prior to arrival. Everyhing. The location is special.